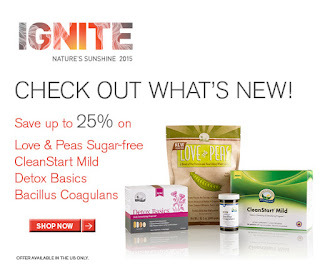 Save up to 25% on these new products from Nature's Sunshine! Expires September 21, 2015. Get sale prices here. We introduced four fantastic new creations designed to help with intestinal and digestive health and to provide needed nourishment. And they were very well received. Bacillus Coagulans—This new, shelf-stable strain of friendly flora supports digestion and microbiome balance. It helps with abdominal discomfort (occasional diarrhea, gas, bloating) and promotes regularity. Take it anywhere. It does not need refrigeration. Detox Basics—Provide your body with daily detoxification support. Detox Basics contains milk thistle, NAC, berberine and Bacillus coagulans to help neutralize, prepare and convert toxins for transport and elimination. CleanStart® Mild—We took the edge off a fantastic cleansing product by replacing LBS II with Gentle Move. 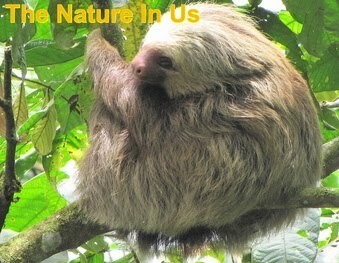 We also took the cascara out of Enviro-Detox. Give it a try! You'll go wild for CleanStart Mild. Love and Peas Sugar Free—This new version of our great-tasting, vegan, gluten-free meal replacement is sweetened with luo han (monk fruit) and stevia for 37% fewer carbs!